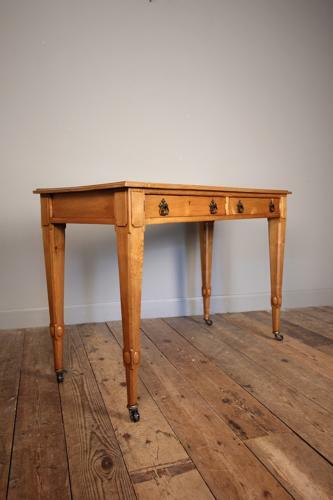 A well proportioned Arts & Crafts Ash side table having a lovely honey colour and super condition throughout. The table raised on tapering legs with original castors. Having 2 drawers of which retain the original decorative brass handles. English, Circa 1880.